﻿ The Imperial Mae Ping Hotel, Chiang Mai | FROM $33 - SAVE ON AGODA! Have a question for The Imperial Mae Ping Hotel? "Great value for money, great location and such friendly staff, who always make you feel welcome." "Good price and value for money!" "it is a good hotel and will come back again." 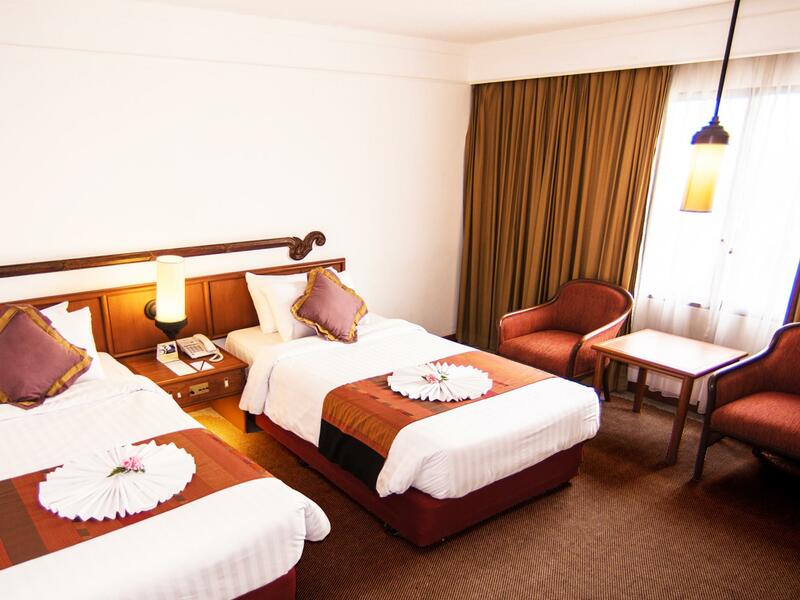 The Imperial Mae Ping Hotel is centrally located hotel near the Night Bazaar, Anusarn Market, and Wat Chai Mong Khon and has two business centers. 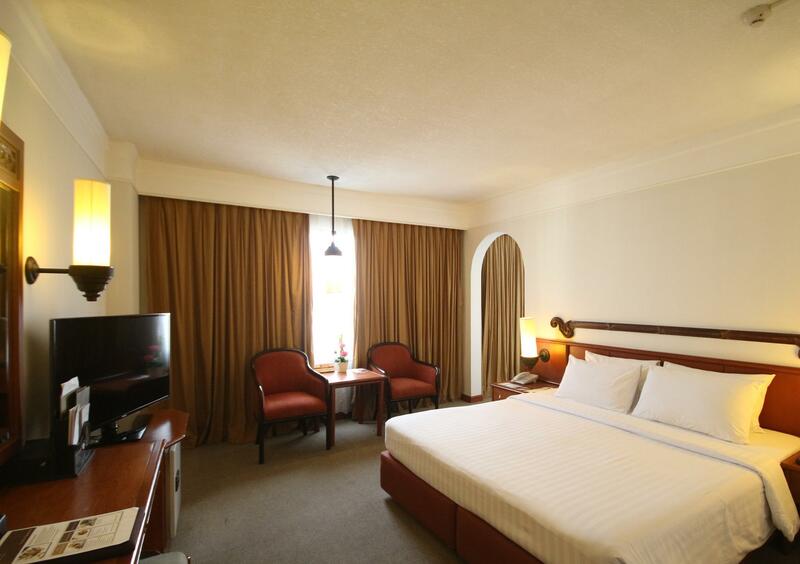 Whether you are traveling for business or leisure, you'll be taken care of here. Guests of the hotel are within easy reach of the flower market and Warorot Market and tours can be arranged to visit the hill tribes, elephant camps, and the beautiful outlying countryside. The hotel boasts two outdoor pools and a full service spa and offers a choice of dining options including the Gold Leaf Restaurant for Chinese cuisine, the Imperial Shabu Shabu for Japanese cuisine, and the Mae Ping Coffee Shop for international breakfast lunch and dinner. The Mae Ping Beer Garden is a delightful option to begin or end your night with a draught beer. 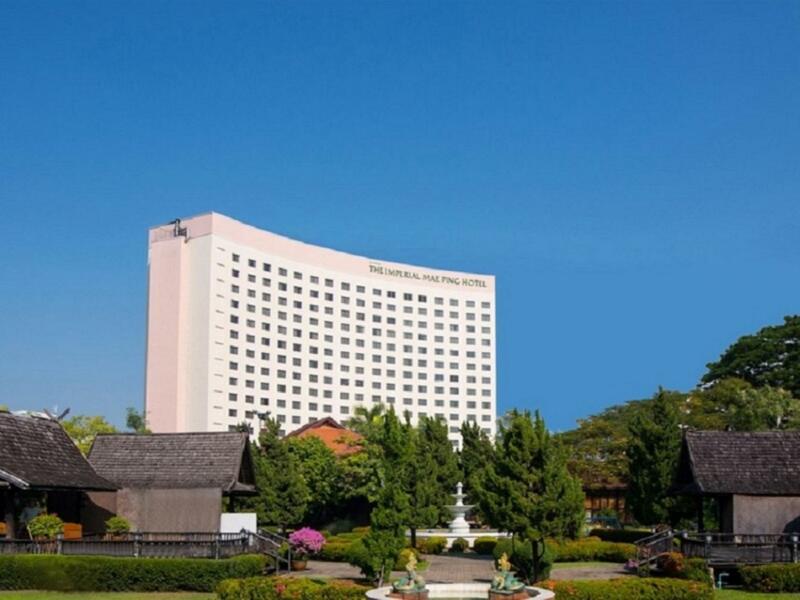 Chiang Mai is a city not to be missed and The Imperial Mae Ping Hotel will help make your stay comfortable. Children 3-11 years old will be charged THB 235 for breakfast when using existing bedding. Additional charges apply for the gala dinner on the night of December 31, 2018 and will be collected at the property. The rooms are terribly old and dilapidated. The breakfast was disappointing with the food being low quality. If you wanted rice porridge, they had lots of that. The staff wasn't good nor bad-just very plain. The location is excellent for the night bazaar and they have good parking. 1. Located very close to night markets n bars frequented by local n tourists. 2. About 20 minutes from airport 3. Breakfast is okay 4. Clean rooms n airy 5. Staff helpful 6. Have a big front compound. 7. Money well spent on hotel for a short stay. so thankful for the very friendly and welcoming staff as we celebrated our honeymoon. great location and the breakfast was the BEST! they made coconut custard bites (i think called khanom krok) which i hunted all over thailand but they totally perfected it. so thankful for the experience. Very satisfied with the hotel, good staff , service and location, just 5 minutes’ walk to night bazaar. The hotel is a bit old, that’s why it is under renovation. Good price and value for money! Only cons is that you have to pay 50 THB for slippers, 50 THB for tooth brush and toothpaste . The hotel should advise clearly beforehand. Anyway it is a good hotel and will come back again. This hotel has everything that a traveller would want and expect from a class hotel. Staff was extremely helpful and friendly. Buffet breakfast had a great selection to choose from and quality of the food was excellent as well. Room was spacious and shower was great with no lack of hot water... internet was exceptional too..... love this place! Close to main street and shopping.... Also loved the free shuttle service to the malls, both ways... I would recommend this hotel to anyone visiting Chiang Mai. Good value for money. Staff are very helpful. Let us check in early and stayed late with pay. Feel safe going around night market as hotel less than 10 minutes walk. Breakfast superb! Plenty of options both continental and Asian. Yes, the hotel facade and furniture seen better days but this , doesn't dampened my spirit as we are out most of the time. What's important is, it's clean. I can imagine Mae Ping grandeur during her time. Will stay again here next time. If the hotel could upgrage or improve the Coffee quality during breakfast sesson will be perfect! 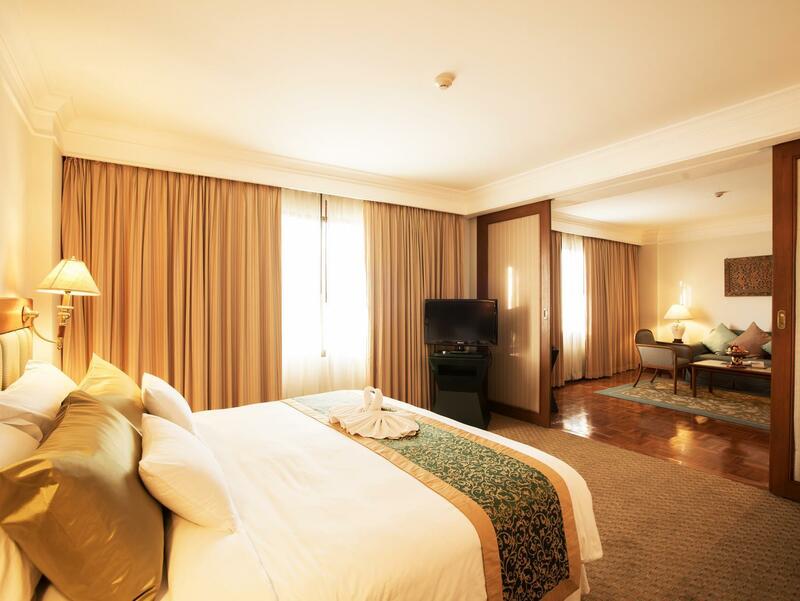 I have been coming to the Imperial Mae Ping Hotel every year for the past 12 or more years and whilst it is currently undergoing renovation, it has not stopped this hotel from being one of the best in town. Great value for money, great location and such friendly staff, who always make you feel welcome. Located at a very quiet and dead part of the road in city. Most shops are empty. Place is quite old. Hotel room is not that comfortable. Aircon is very bad. Luckily, I was here for 1 night only. Duangtawan is slightly expensive but much better. Worst still, the swimming pool is very dirty. You can see the floor of the pool is not clean. Arrived at the hotel late in the evening and had trouble making a booking on the Agoda website, where we paid 1435 Baht for a standard room compared to the 1800 Baht walk-in rate (including breakfast), but luckily the Agoda website decided to respond and finally we were able to check-in. Rooms were comfortable, breakfast was great and so was the pool in the morning. Finally, after a week of continuous rain in western Thailand (Mae Hong Son and Mae Sot) and Myanmar, there was sunshine in Chiang Mai and I was able to go for a quick swim in the morning. This hotel is the same chain with another fantastic property in the Golden Triangle (Sob Ruak, near Chiang Saen) where we stayed about a week earlier. 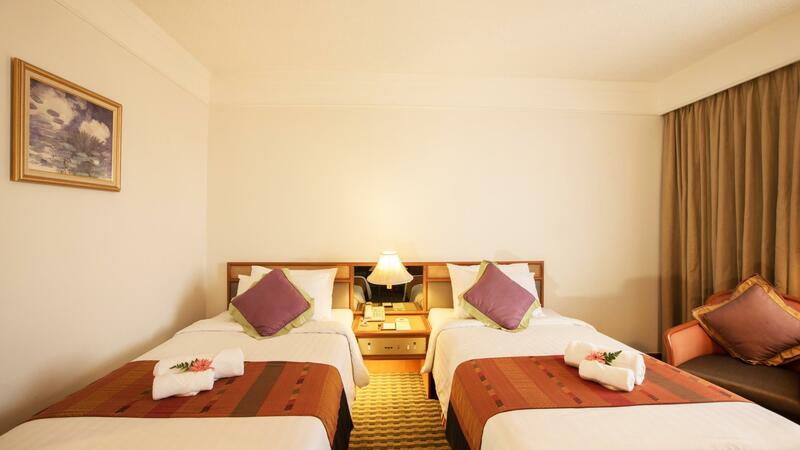 The hotel is within comfortable walking distance of every major interest in Chiang Mai. Some within a few minutes. I really love the traditional feel of the place. The staff are delightfully old Thai. It has all the facilities I can think of. We got a fantastic deal for four people. 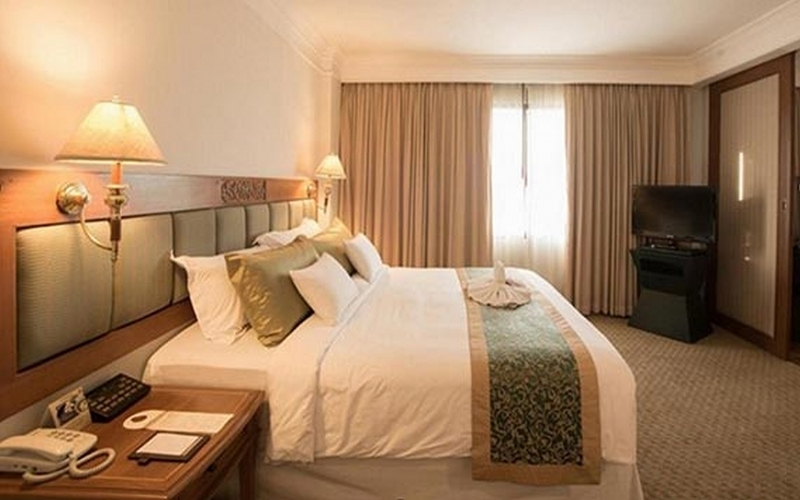 The rooms were listed as two people per room, but each bed was a large double and definitely spacious enough for four. But our stay was cheap either way. Easy walking distance from main part of the Old City, all night markets, bridges and temples. Loved the hotel, pool, and underrated live music every night by the bar. Tiny gym that closed around 9pm but a gym nonetheless. Would stay here again. No doubt for its great location and cleanliness. However, I didn't have a full night sleep of all 3 days and I was exhausted. This is because there was a weird sound in my room constantly and it made me scary. I don't know what caused this sound, probably because of its old facilities. Happy to recommend this hotel. Very central and not far from the night bazaar. Rooms are good, breakfast very good, staff responsive, facilities (eg. pools, gym) very good. Overall, a very pleasant stay at a reasonable price.